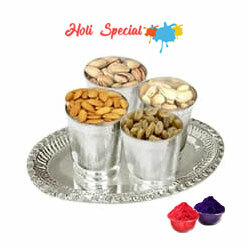 Joyful Celebration Holi Hamper Cheerful Holi Combo of Puja Thali with Ganesh Mandap, Herbal Gulal N Dry Fruit Potli Mixed Dry Fruits with Silver Plated Bowls (Pistachio, Raisin, Cashew, Almond) with free Gulal/Abir Pouch 50 Stunning Red Roses Arranged in a Basket with Greens and Fillers to show you are there on this auspicious Occasion with free Gulal/Abir Pouch. 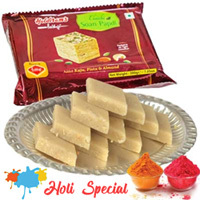 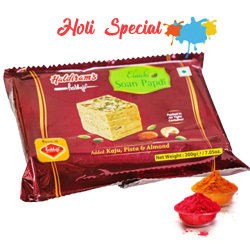 Attractive Holi Essentials Gift Hamper Exciting Holi Wishes Hamper Gents Watch from Titan Sonata with free Gulal/Abir Pouch Spread Sweetness this Holi with Nicely Gift Wrapped Soan Papdi from Haldiram with free Gulal/Abir Pouch. 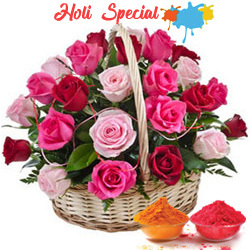 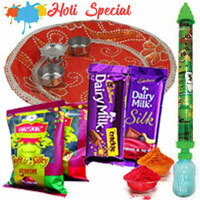 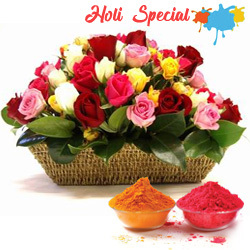 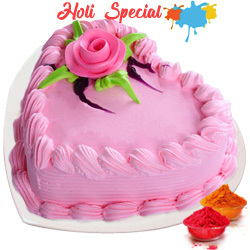 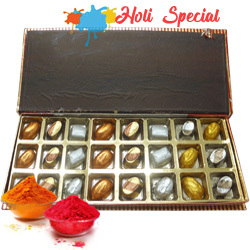 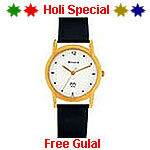 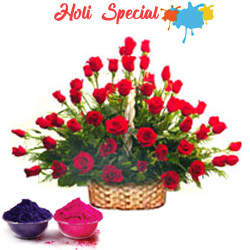 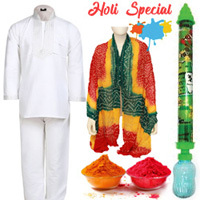 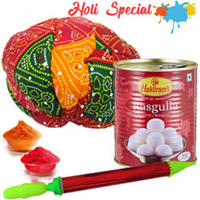 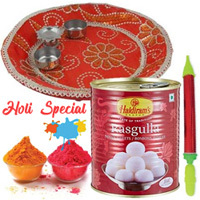 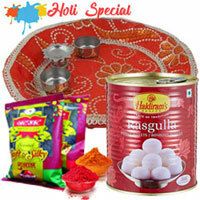 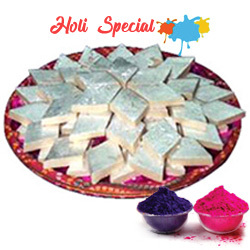 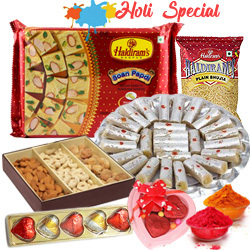 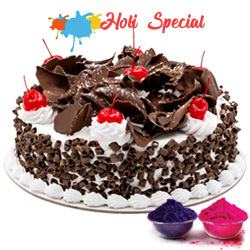 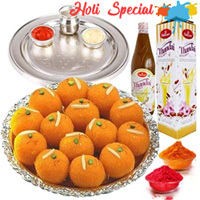 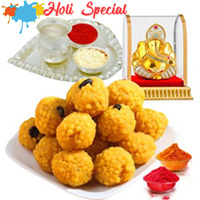 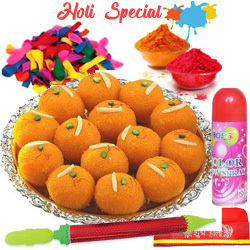 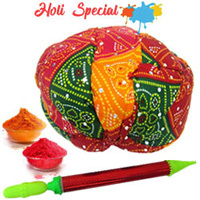 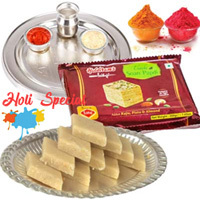 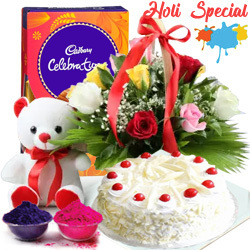 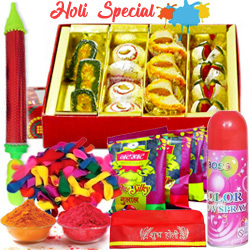 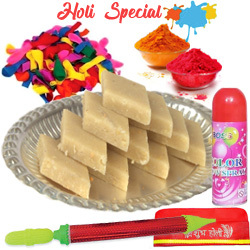 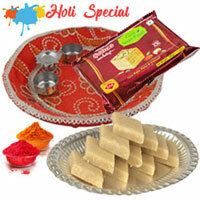 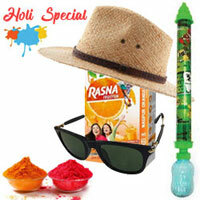 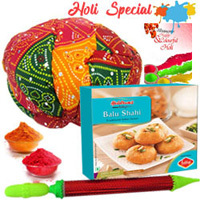 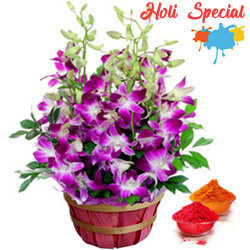 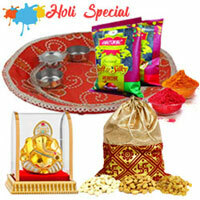 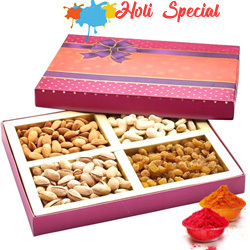 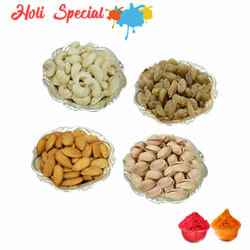 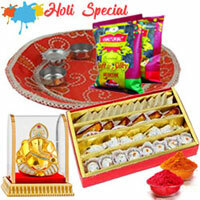 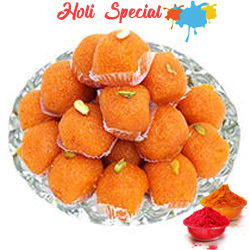 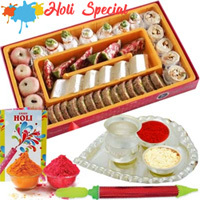 Colorful Holi Selection Gift Hamper Holi Wishes with Dry Fruits and free Gulal/Abir. 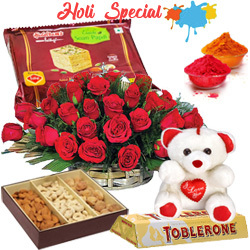 Titan Sonata Gents with free Gulal/Abir Pouch A Colorful Combo of a dozen Colorful Roses with Assorted Chocolates, A cute little Teddy Bear and Fresh Baked Pinapple Cake with free Gulal/Abir Pouch.